There’s no doubt about it. Bed bugs are one of the hardest pests to get rid of and one of the most frustrating problems. 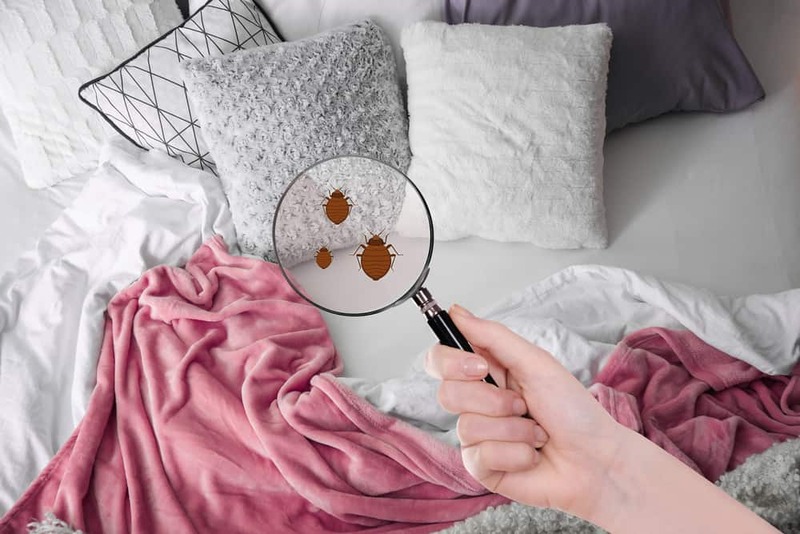 The reality is that no matter what you do at home, bed bugs have a way of creeping back in to your home. With that said, treating bed bugs on your own is something we don’t advise. More often than not, you’ll throw away your mattress or buy the case for it, steam clean everything and go through the rest of the steps below...only to end up doing them again with the next round of eggs hatch. If you don’t feel like wasting that kind of time and money, call Terminators right now for a quick and easy treatment. You may be tempted to throw away your mattress but that’s not necessary. Instead, remove all bedding and immediately place it in a sealed trash bag. Then take this bedding to your washing machine, and empty the bag directly into your washer (hold the bag over your washer so if any bugs escape, they fall into the washing machine and not onto your floor). Wash all of your bedding in hot water on the longest setting. Then dry on the highest heat setting. Now separate your box spring and mattress from each other. You may want to lean them against opposing walls so you can access the tops and bottoms of both. At this point, you’ll want to vacuum everything from the inside of your box spring (if you can get access) to the creases of your headboard. While you can use your home vacuum for this, it doesn’t come equipped with the proper filtration to trap the tiny bugs and eggs so they could spread further. Instead, we recommend renting a sealed HEPA PCO vacuum so that nothing can escape. Make sure to go over every inch of your bed and take your time. From there, you want to steam your mattress, box spring, bed frame and headboard. You’ll want to make sure you’re using a steamer that’s powerful enough to penetrate deep into your mattress with high heat to ensure all bugs and eggs are killed. And pay extra attention to folds, seams and creases where bugs and eggs can hide. Now let your bed dry for a few hours. After your bed has dried, spray all the joints, wood, metal, etc. with a bed bug killing spray like STERI-FAB. This kills bugs quickly and evaporates. Following the STERI-FAB treatment, follow up with a longer lasting spray that keeps the bugs gone for several weeks. And finally, wrap your mattress and box spring in a bed bug safe cover that helps keep bed bugs out of your mattress. We would love to tell you that’s all you need to do. Unfortunately, bed bugs can hide in your clothes, upholstery, carpet, closet and even on your walls. So you’ll need to isolate your bed from everything else. Meaning, create a gap between your bed and the nightstands, remove storage from under the bed, remove unnecessary pillows and gap your bed from the wall. Also make sure your sheets aren’t hanging down onto the floor since bed bugs will use this as a ladder to climb into your bed and get a free meal. Now that you’ve treated your bed and isolated it from everything, it’s time to treat the rest of your room. Take all of your clothes and any material items you can wash, seal them in bags and wash them the same way you did with your sheets. Now go through your room with the vacuum and go over every area of your room including baseboards, window seals, furniture etc. to make sure you get all bugs and eggs. Then go back over everything with the steamer. Purchase bed bug contact sprays and cover everywhere that bed bugs could be hiding. This means under cushions, under furniture, seams in couches, night stands, etc. The contact spray kills quickly but doesn’t stick around so you need this in addition to the longer lasting sprays below. Purchase long lasting bed bug sprays and go over all of these same areas to ensure you’re keeping the bed bugs away. Purchase bed bug powder and place this in the areas where you couldn’t use the sprays without damaging things. To keep the bedbugs from repopulating, you’ll want to repeat this process again in 2 weeks and again 2 weeks after that for 3 total treatments. Treating bed bugs on your own is a huge headache… we know. Renting the equipment, buying the treatments, and the time it takes to do it yourself just isn’t worth it for most people. And there’s no short-cutting this treatment. If you want to bed bugs gone, you actually do have to do ALL of the steps above. 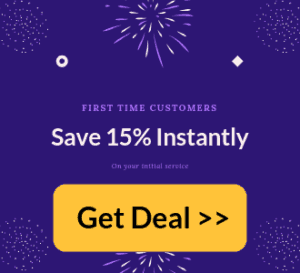 So unless you really want to do it yourself, hiring a professional service like Terminators Pest Control will cost you less money and we guarantee our work so you know the bugs really are gone.